Voice over Internet Protocol (VoIP) in the US has become more popular not just among businesses for communication, but also for several states coming into 2018. Unified communication services will continue to be relevant as most states steer away from wired telecommunication. According to a National Regulatory Research Institute report, 41 states already relied less on or stopped overseeing wireless networks. In addition, a separate report claimed that companies that use VoIP for their telephone services comprise 36% of enterprises. One feature that makes VoIP a preferred service, notes SIP.US, is its ease of integration with other technologies, including those offered by a Session Initiation Protocol (SIP) trunk service provider. 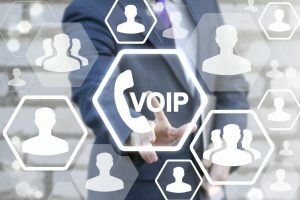 Since the last 20 years since VoIP’s introduction, service providers have sought to fix several concerns such as sound quality. One of the most recent technology developments is the virtual private branch exchange phone systems. While an estimated 8% use them as the main business line, that figure will continue to increase in the future as solo business owners and online companies want to modernize their phone lines. Recent surveys of small enterprises showed that many have switched to VoIP, primarily because it provided an easy call-forwarding option to mobile phones. Small businesses have mostly driven the increase in adoption of the cloud into their communication networks in 2017. For the following year, the IT industry expects more large enterprises to jump on the bandwagon. The transition will take place as these established companies become more confident on the cloud’s security while acknowledging their scalability, value for money and user-friendliness. Research and advisory firm Gartner said that unified communications as a service (UCaaS) is not only a cost-effective tool but also offers better functionality. You should consider the benefits of using VoIP hosted by a third-party provider. It enables you to save on costs and keep up with the changing theme of business communications in the near future.